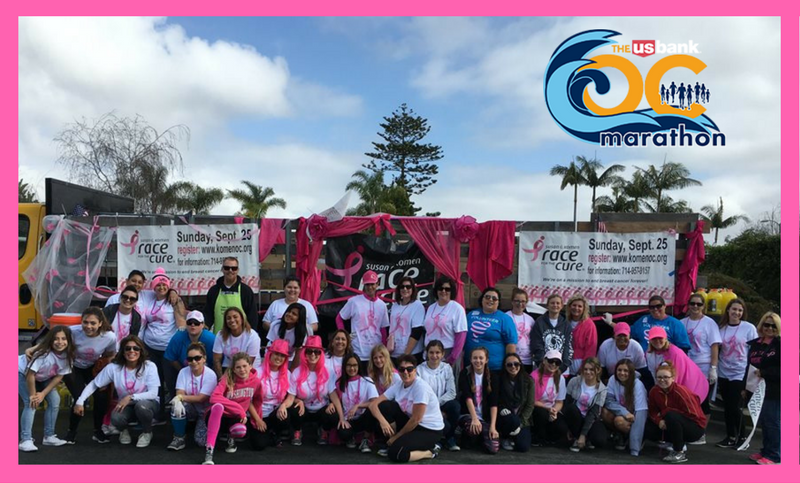 At Susan G. Komen® Orange County, one trait we share with our survivors is that we are fighters, we’re not afraid to take on any challenges: the BOLDER, the better! In October, we announced our bold goal for the next decade: to cut the number of deaths from breast cancer (40,000 per year in the U.S. alone) by 50 percent in the next ten years. Simultaneously, we launched our nationwide More Than Pink movement to redefine the color pink – from a symbol of awareness to a symbol of action! Today, we want to offer you a chance to become More Than Pink. 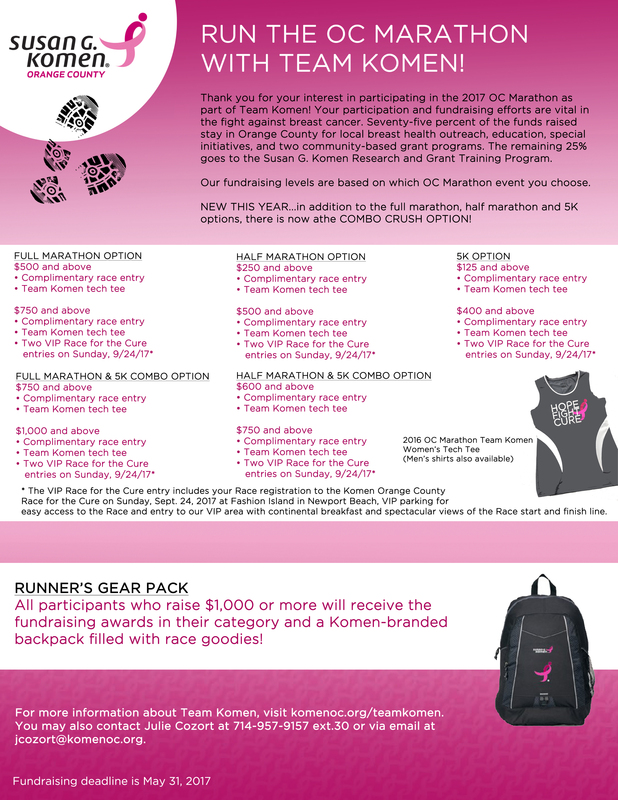 The Orange County Marathon has made us one of its charity partners and we would love for you to join Team Komen! We’re Bold and Courageous: we believe in pushing our limits and challenging the status quo, while always putting health – ours and the people we’re serving – first. We’re Tenacious, once we’ve set our mind on a goal, nothing can stop us. We’re Fearless and never shy away from difficult situations. Contact us at 714-957-9157 ext. 30 or jcozort@komenoc.org to learn more and join Team Komen. If you would like to sign up, go to www.ocmarathon.com and select Run for Free for A Cause in 2017. You’ll be able to set up your fundraising page through Crowdrise, using the information you entered for previous races to populate your profile. Also, if you fundraise $125 by Friday, January 27th, you’ll be entered to win a free entry for someone else. In 2016, we celebrated our 25th anniversary. Looking back 25 years, people did not talk about breast cancer although the mortality rate was much higher. Between 1990 and 2013, breast cancer mortality decreased by 37%, the equivalent of nearly 250,000 lives saved. This is incredible progress, but there is more work to be done. Susan G. Komen recently announced its Bold Goal, to cut the mortality rate nationwide by 50 percent in the next decade. Knott’s Berry Farm for the Cure: For the fourth consecutive year, Knott’s Berry Farm will turn pink for several weeks from January to March, in support of breast cancer. Our good friend Snoopy will help us raise funds through the sale of Knott’s Pink Tickets and Knott’s for the Cure Pink merchandise. Circle of Promise: While African American women are less likely than Caucasian women to be diagnosed with breast cancer, the mortality rate in Orange County is 41 percent higher. In February, we’ll host a Circle of Promise Day to combat these statistics by hosting a roundtable with influent community leaders. Research Symposium: In February, Komen Orange County will unite leading breast health scientists and specialists who will share their knowledge of breast cancer. 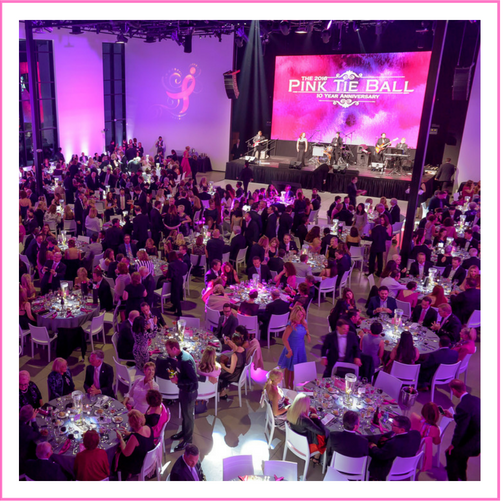 Pink Tie Ball: In the past ten years, 4,500+ guests have attended our Pink Tie Ball, helping us raise $3.6 million. In May, we will honor seven new Pink Tie Guys and celebrate their efforts in the community toward the fight against breast cancer. OC Marathon: On May 7, we’ll be onsite to cheer on and hand out water to the hard working runners. Look for our booth at the finish line, where you can also learn about breast health services! Race for the Cure: Over the past 25 years, 307,000+ people have participated in the Race for the Cure and helped us raised more than $34.5 million. We hope to see you at the starting line! As you can see, 2017 will be a busy year for us! We hope you’ll join us at one or more of our events and in our mission to fight breast cancer.